There is nothing better than a steaming bowl of soup on a cold winter night. 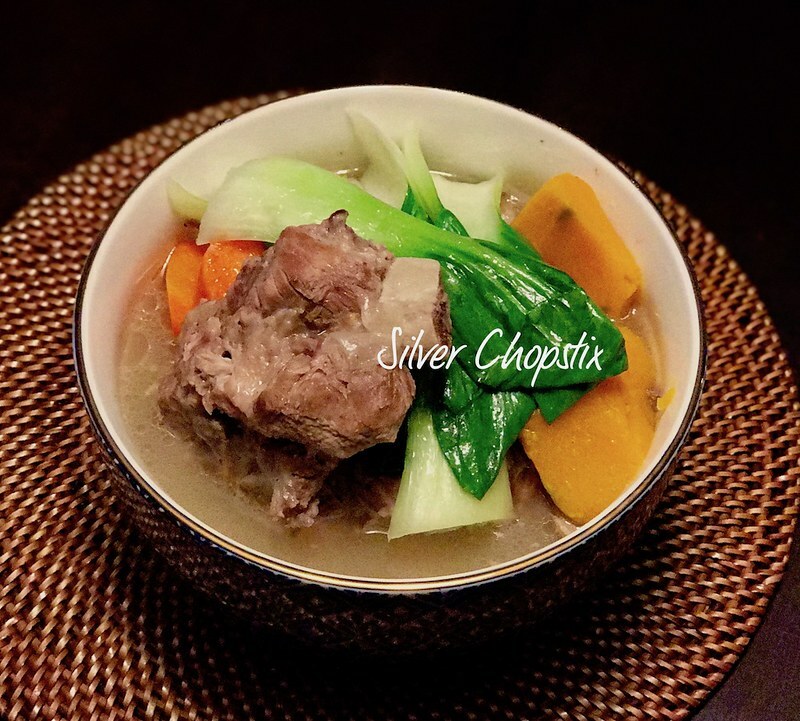 I wanted to make a comforting as well as a rich and satisfying dinner, so I thought of pork bone soup. Any cook knows that the secret to making a good broth is bones, be it chicken, beef or pork or any combination of these. 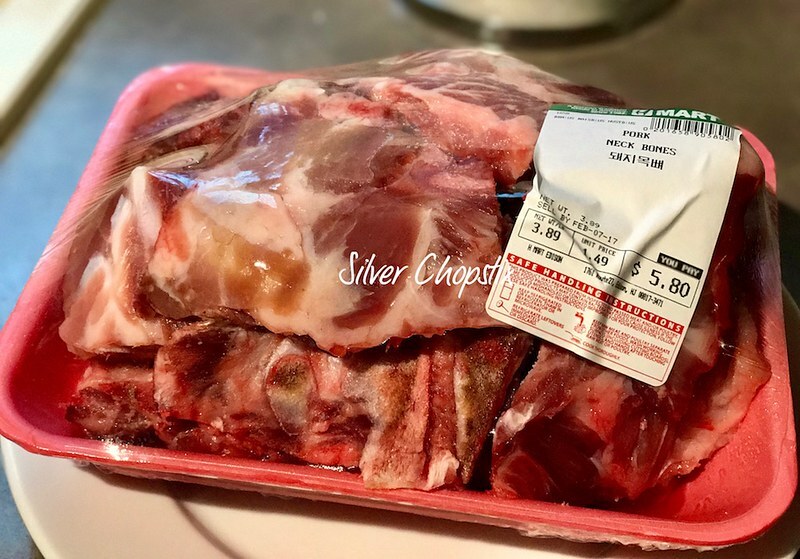 Pork neck bones is relatively cheap, you can get these at any Asian grocer. It will make a hearty meal since the bones are actually meaty. Rinse the bones in running water and place in a big stock pot. Add enough water and let this boil for 3-5 minutes. Take out the bones and rinse again under running water, make sure to remove any scum. If you are using the same pot, wash and rinse well before adding back the bones. I used a pressure cooker to cook the pork bones since I didn’t have the luxury of time to cook this for hours. Place your pork neck bones in your pressure cooker and add enough water to cover. To this add 1 medium chopped onion, 1 tsp ground black pepper and thumb size ginger. Make sure to follow the cooking directions of your pressure cooker. 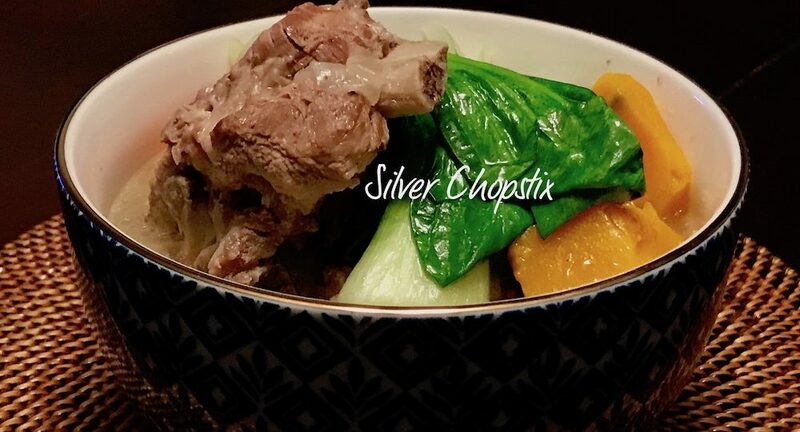 When pork neck bones are tender, remove from broth and set aside. Let the broth come back to a boil then add your choice of vegetables, I used carrots, kabocha squash and napa cabbage. Season with salt or fish sauce and cook until vegetables are crisp tender. 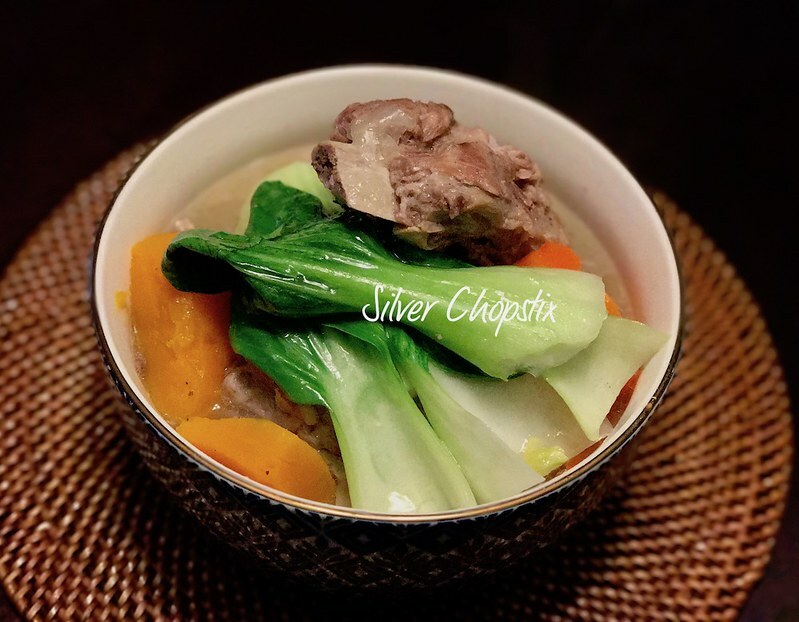 Place your pork neck bones in a bowl and ladle your broth and vegetables on top. Serve hot with rice on the side.